Our hospital utilizes a decentralized model. One pharmacist in the main pharmacy takes care of the dispensing duties while the rest of the pharmacists are responsible for order entry, kinetics and trouble shooting in their respective areas. The pharmacist located in the ICU typically participates in daily rounds each morning. If you are familiar with how rounding works, then you know that a pharmacist’s main job is to evaluate drug therapy based on lots of data (patient condition, diagnosis, age, gender, weight, renal status, etc). Accessing this data at the point-of-care is never easy for a pharmacist and they will often rely on the old “pen an paper” to get the job done. With all the advances in technology it just didn’t seem right for them to be doing it this way. Solution? 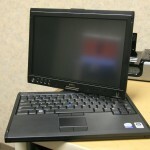 A tablet PC. 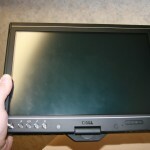 I configured a Dell Latitude XT tablet PC (see photos) for the pharmacists to use on the floor. It was a big hit. The only minor complaint was the number of times the pharmacist had to “tab” to get all their applications and references open. We utilize various systems to get laboratory data, write orders, enter orders, etc. Not to mention the online references we frequently use. The solution was simple, create small batch files to open multiple applications at once. 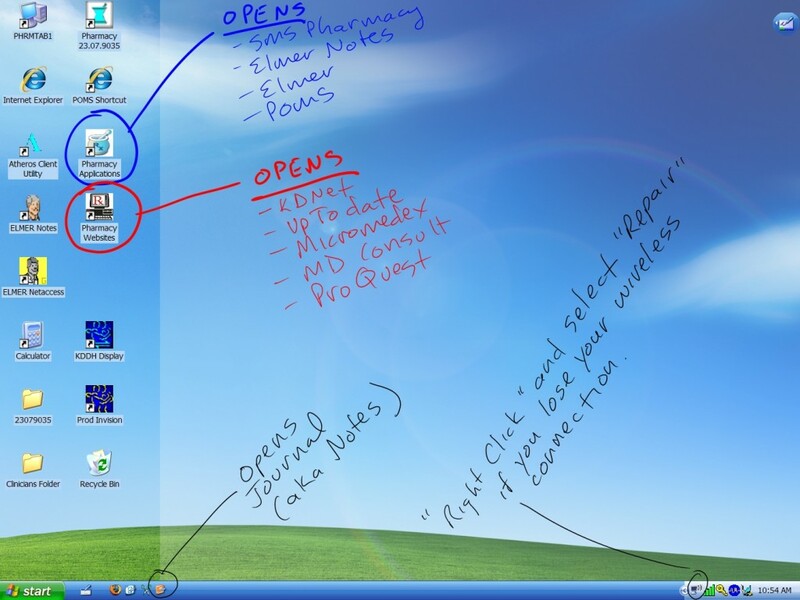 Internet Explorer version 6.0 and older: Open two browsers (explorer.exe): one with JerryFahrni.com and one with google. Internet Explorer version 7.0 and newer: This can be a little tricky. You cannot directly use a batch file like IE 6.0, Firefox and Chrome. You will have to use a small java script file. To get a polished look I convert my batch (BAT) files to little executable files (EXE) with a conversion program like Bat To Exe Converter. Then create an nifty little icon to separate it from the rest of the desktop using. I use a nice little application called Irfanview to create my icons. Here is an image of the screen I use as education for the pharmacists.